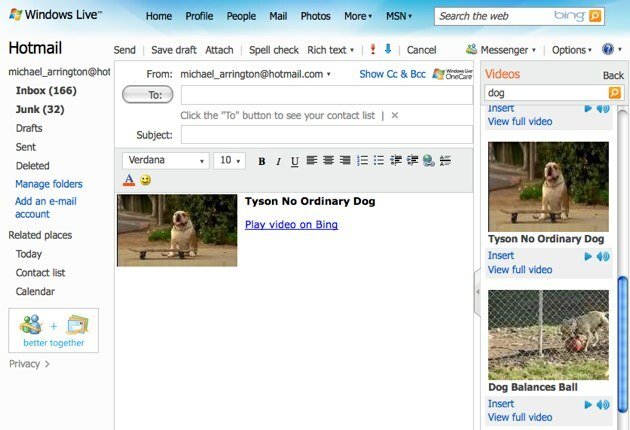 Microsoft has upgraded its Quick Add feature in Hotmail, first announced earlier this year, with a number of features from their new Bing search engine. We’re not talking about a small number of users who will be affected. Hotmail is still by far the largest web mail provider on the Internet, with 343 million monthly users according to Comscore. Second and third are Yahoo (285 million) and Gmail (146 million). A year ago Hotmail had just 273 million users, so it is still growing rapidly. The new features let users search for and insert maps, movie listings and times, in addition to the restaurants, videos, images and business listings that were there before. And all of these have been upgraded with Bing functionality via the API. Some of these quick adds are quite useful, particularly the maps and movie listings. 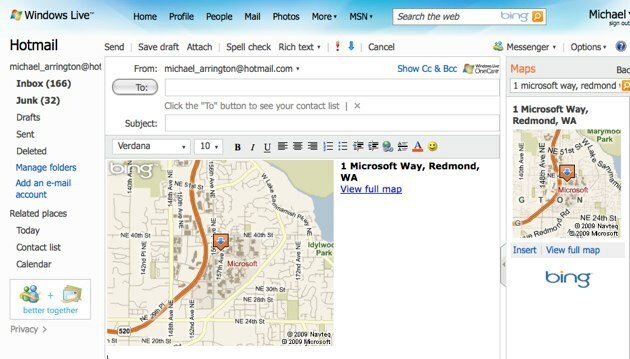 For the masses that use Hotmail, it’s also a great way to introduce them to Bing.